Do you enjoy European history and British comedy TV shows? My spouse introduced me to BBC programs back in the 70s. Fawlty Towers was one of my favorites. Unfortunately, there is one show that I vaguely recall but can't remember the name or the names of any of the people in it, so it's hard for me to search for it. Perhaps if I tell what I can remember, somebody out there in cyberspace will help me fill in the blank. So in this episode there was a guy who impersonating the king of France. “A” king of France. The king's name was Louis. That part was clear. The confusion was over the monarch's number. So the guy who was supposed to be king – every time somebody left the room after speaking with him and another person would come in to talk to him, he would forget which number “Louis” he was. One time, he's Louis the 14th. Next time he's the 16th. The 10th? The 12th? He didn't know! Can anybody name of the BBC TV show? 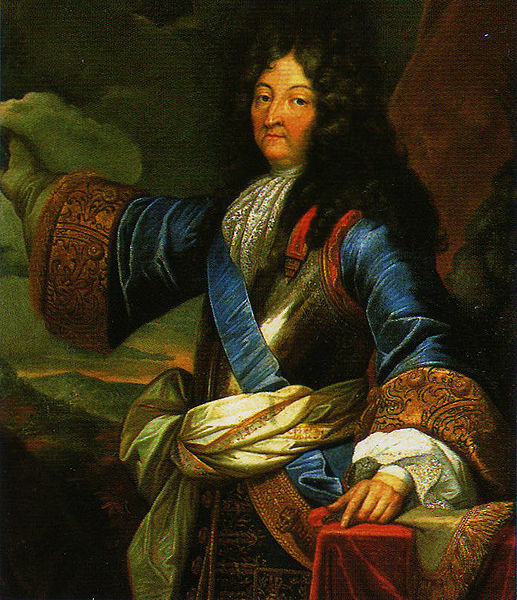 France’s King Louis XIV was offered biological weapons by an Italian chemist.